We offer Machine Plugs and Sockets from 200 Amps to 600 Amps in our MP1 series with excellence strength, high durability and accuracy dimension at reasonable price. 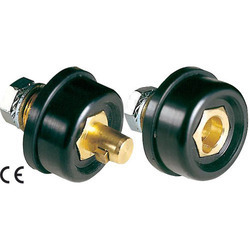 Metal Arc® is a renowned name in the industry to offer our patrons and we also offer premium quality range of CE Certified Brass Plugs and Sockets 200 Amps. 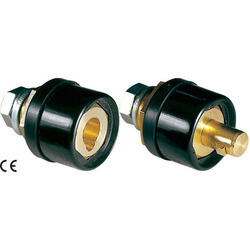 The offered plugs and sockets are widely used in electrical industry. Using quality approved material with the help of contemporary methodology, the provided plugs & sockets are exclusively manufactured at our well-equipped production unit under the strict surveillance of qualified workforce. For their unique features like easy usage and robustness, these plugs & sockets are highly demanded by precious clients. Our reputation in the market is largely attributable to our precision-designed CE Certified Cable Plugs and Sockets 400 Amps from our extensive range of products. Using quality approved material with the assistance of cutting-edge methodology, these plugs & sockets are perfectly manufactured under the direction of our skilful workforce at our well-equipped manufacturing unit. In order to ensure their quality, these plugs & sockets are stringently examined against diverse parameters of quality by our quality auditors. Riding on unfathomable volumes of industrial expertise, we are involved in offering an excellent range of CE Certified Adapter Plugs and Sockets 600 Amps. 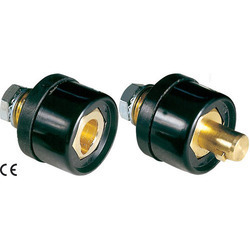 The offered plugs and sockets are widely used in electronic industry and precisely manufactured under the stern guidance of our diligent professionals using optimum class material with the help of innovative technology. Our offered plugs & sockets are highly acclaimed among our patrons due to their accurate dimension and easy installation. Our reputation in the market is largely attributable to our precision-designed Terminal Plugs and Sockets 400 Amps Lug from our extensive range of products. Using quality approved material with the assistance of cutting-edge methodology, these plugs & sockets are perfectly manufactured under the direction of our skilful workforce at our well-equipped manufacturing unit. In order to ensure their quality, these plugs & sockets are stringently examined against diverse parameters of quality by our quality auditors. Looking for Machine Plugs And Sockets ?